Was All That Praying a Waste? My friend Andrea is our guest blogger today. See end for Andrea’s bio. What horrible news we had yesterday, about Eyal, Gilad and Naftali A”H, the boys murdered in Israel 18 days ago. As Jews and non-Jews everywhere reel from the news, I am starting to see the question pop up, on my Facebook feed, in blog entries and on a bulletin board that I frequent: questioning what the point was to all that praying everyone did. Now, I am not the biggest “pray-er.” I do take challah and pray for people on a regular basis, but I find that spontaneous prayer works better for me than reading psalms or formalized prayers. In the time that the boys were missing, what I saw in news, on social media, and in communities everywhere, was an incredible number of people praying, doing mitzvot and reading psalms, in the merit of the return of the boys. I saw the people of Israel, and so many of our friends, coming together – unified by our desire to see the boys home safe. This past Thursday, my daughter was in an accident. It was a very serious situation and one which, if any one of ten different things had gone differently, I would be sitting shiva right now. In fact, it is miraculous that all ten of those things did not happen. After seeing the question “Why did we bother?” I decided that all that davening, and all those mitzvot and all that ahavat yisrael acted to make it possible that instead of a tragedy, in or family, we are dealing with “just” an accident, instead of a tragic one. God heard our prayers. God saw our achdut (unity) and all the amazing mitzvot done in the merit of the safe return of the boys. I believe that because there was nothing else that could be done for them, all the incredible goodness that was generated by these prayers and actions, was redirected. Some people may have survived car wrecks, chemo might have worked, or aerosol cans blew up and yet the injury was “just” like a bad sunburn. In addition, many people were praying for the safety of the members of the IDF who were looking for the boys, and the delay in the discovery of their bodies meant that the IDF had legitimate opportunity to discover the smuggling tunnels, weapons production locations and to confiscate whole arsenals that will not be used against Israel now. A friend pointed out all of the above and that we will never know how many lives have been saved by removing those threats. Do you know someone who suffered in the past 17 days from something that could have been much worse and wasn’t? Do you know someone who walked away from something that should have killed them? Maybe they, and by extension, you, we, klal yisrael were the beneficiaries of that good outcome precisely BECAUSE we all showed such achdut and we all prayed and did mitzvot! This may not be the answer we wanted or expected but it is absolutely an answer! So I, a Jewish mother who is NOT sitting shiva today, believe that your prayers and our achdut are the reason for that. Thank you! Andrea Levy considers herself an “Under-Constructionist Jew.” Formerly a non-observant, mostly cultural Jew, Andrea and her family are very pleased to have grown in the direction of increased observance of mitzvot. She is married to Marc Schwartz and has two children, Max and Ariel. 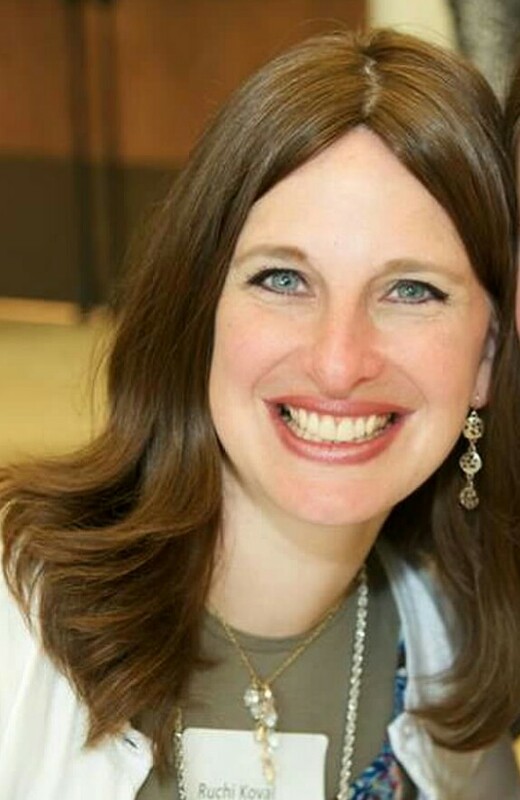 Collectively, the family is known as “The Schwevys.” Andrea owns a business providing Kosher Catering in Hamilton, Ontario, as well as working as a kosher supervisor for the Hamilton Va’ad Hakashrut. She is the lead volunteer for the Adas Israel Synagogue’s United Shabbat programme. Andrea enjoys post apocalyptic and dystopian books and loves all things Zombie and Vampire. Welcome to Eli Talks #3, A Tale of Two Zions. The main reason I chose this particular talk out of the selections Miriam sent me is this: I disagree completely with most of it. More later. Rabbi Mishael Zion is nothing if not a family man (he even wrote a haggadah with his father); and that includes his extended family of the entire Jewish people. Which makes the premise of his talk all the more provocative. What does it mean for a family to be simultaneously united and divided? In some ways, I find his premise to be totally intuitive. Of course! It’s a descriptive talk, not a prescriptive one. This is just how it is! And I love the way he intertwines Hillel’s deceptively simple teaching about responsibility and selfhood. In other ways, it’s an unsettling position. The Land of Israel isn’t the only great dream of the Jewish people? And hey, even if we are talking about Israel and America (or Jerusalem and New York, as it sometimes feels), what about the rest of the Jewish world? What are they, chopped liver? Ultimately I do think it’s a prescriptive talk – a talk that’s trying to encourage a sense of mindfulness. We are a people with a project…or two. We are in it together. So we should learn from and with one another and get it together. Cuz if not now, when? I mean, I loved the stories about the grandfather – how could you not? And of course about working together, etc. But there’s underlying premise here that I really just can’t get around, and the irony is I felt that way when I first watched this talk a couple of weeks ago, before #bringbackourboys. Before Eyal, Gilad, and Naftali were kidnapped – three kids, teens, unarmed – just for being Jews. Not for being Israelis mind you, as one is not Israeli but rather American. How can we say we’re better off than in our ghettos, when there are plenty of neighborhoods – shockingly, the whole middle chunk of the country – that is unsafe for Jews? How can we say our dreams have come true when kids are kidnapped for no reason whatsoever? How can we say this is the successful story of our arrival? By the same token, how can we say the Diaspora experience is the fulfillment? The only thing Israel has over America is its holiness. And it had that before 1948. If you look at our prayers, it’s all about Israel. Every single thing we say references Israel. “God, thanks for the awesome meal! Oh, and bring us back to Israel!” Really. True story. And part of that is fulfilled by Israel today. The holiness. The intensity. The opportunities for Jewish expression. But much is NOT fulfilled. Much is unfulfilled. And it’s unfulfilled in the Diaspora too. That’s why we continue to wait for the Messiah… may it be soon. In this vein, not only isn’t the rest of Diaspora “chopped liver” (yum) but Israel is the epicenter from which all radii, um, radiate. So Israel, then unifies us ALL. No matter which Jew I am chatting with, Israel is something we can talk about, even if no one has been there. This actually happened to me at a rest stop in upstate NY when three teens with tattoos and chains walked in. I was terrified, till they came over and seriously bageled me! In Hebrew! We all care about it. Most of us know someone there! (The only thing that really comes even halfway close is Jewish NY’s weird relationship with Miami.) So Israel, far from being a competitor (!) to “us,” is a unifier. Father, I’d like to ask you the Four Questions. Why is this night different from all other nights? Why do we get generations together for the Seder? Because the whole point of the seder is the Haggadah, which literally means, the telling. We’re commanded, “And you should tell your children on that night saying, ‘God took us out of the land of Egypt! '” Which essentially means that if you’re wondering when is the right time to sit your kid down and transmit what you know and care about Judaism, this is the night. So we get generations together so that one generation can transmit to the next what it’s all about. Being Jewish. Being a nation. Being free to be a Godly people. Why is matzah so hard to digest? This is a difficult question, my son. But I’ll do my best. You know how “wonderbread” was called that because it was so easy to digest? Matzah is the barest form of bread ever. It’s supposed to be rough stuff. It’s supposed to be uncomfortable. If you don’t like it, that’s a good sign. Eat it anyway. For a week. And see how you do. That’s a teeny, tiny glimmer into being a slave. Kvetch if you must, but that’s the point. Why do Passover and Easter always coincide? You are a perceptive one, son. Good job. Easter was tied to the lunar calendar, not the solar one, and thus didn’t have a set date. Due to the way it was set up, it invariably coincides with Passover. More, the Last Supper was likely a Passover Seder – Easter is about Passover in its origin. Why do so many Jews eat kosher food on Passover? I don’t know the answer to that one, son. But I will say this: observing Passover in some way is an almost universal expression of being Jewish. 90% of Jewish couples attend a Seder, and 65% of intermarried couples do. This and lighting Chanukah candles are the two most widely observed Jewish rituals. Chanukah’s easy: it competes with Christmas. But Passover? Why Passover? Something tells me that Jews sense that this holiday is about our very identity, our infancy. About asking the older generation to give us something of meaning to take along. Even if we don’t identify strongly, we sense that tossing this ritual aside is something of a sacrilege. And maybe continuing the holiday throughout the week, by altering our eating habits, is a part of that. Can I ask you a question, now, son? How did I get so lucky to get a son like you, who asks such great questions about Judaism? I dunno, dad, I guess the same way I got a dad like you, who can answer them. Happy Passover to all my OOTOB readers! See everyone after Passover!